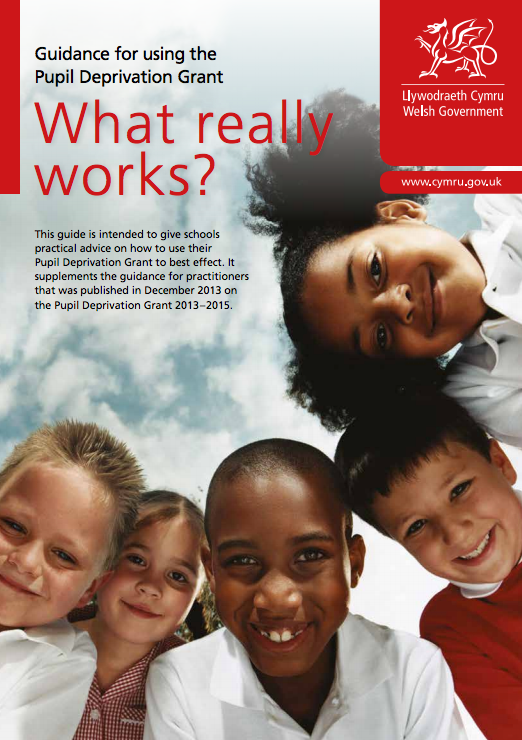 "a similar plan will not be introduced in schools in Wales for at least four years." Four years? Where did this figure come from? I haven't seen anything announced by the Welsh Government saying that this is the predicted timescale of a new Computing PoS. Searching through the article I thought something must have been announced, but no, nothing. So who is it that's saying four years? Why not say 6 months, 1 year or 10 years? Four years seems to be an arbitrary figure, plucked from the ether by someone. Interestingly this is the second piece in two weeks from BBC Wales on concerns over what they see as delays to the new curriculum, with the focus primarily on programming. I wonder where this story is coming from? Could there be vested interests pushing it for their own benefit? No, that's just silly. If you are wondering about ways to spend your PDG effectively have a look at the Sutton Trust EEF Teaching and Learning Toolkit. It provides guidance for teachers and schools on how to use their resources to improve the attainment of disadvantaged pupils. 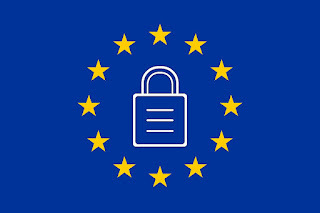 You'll find a wide selection of approaches that a school can take, along with the estimated cost, the availability and the quality of evidence, and finally the average impact expected estimated in terms of additional months progress pupils might be expected to make as a result of that approach being taken in the school. We can see from this screen shot of the tool kit that Digital technology approaches are high cost approaches with moderate student progress, which is supported by extensive evidence. Whereas Collaborative learning approaches for instance is low cost that produces the approximately the same student progress. Certainly makes me think. 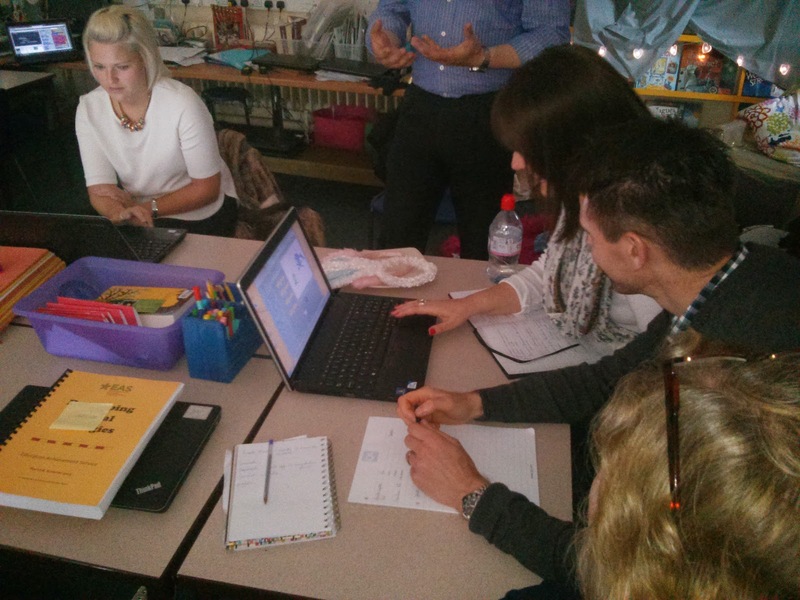 A very good day looking at numeracy and ICT at Clytha Primary School last Friday. One of the intentions of the day was also to focus on getting the most from resources that the school has. The school had purchased 2Simple's Purple Mash, so I looked at many of its tools that can support aspects of numeracy. 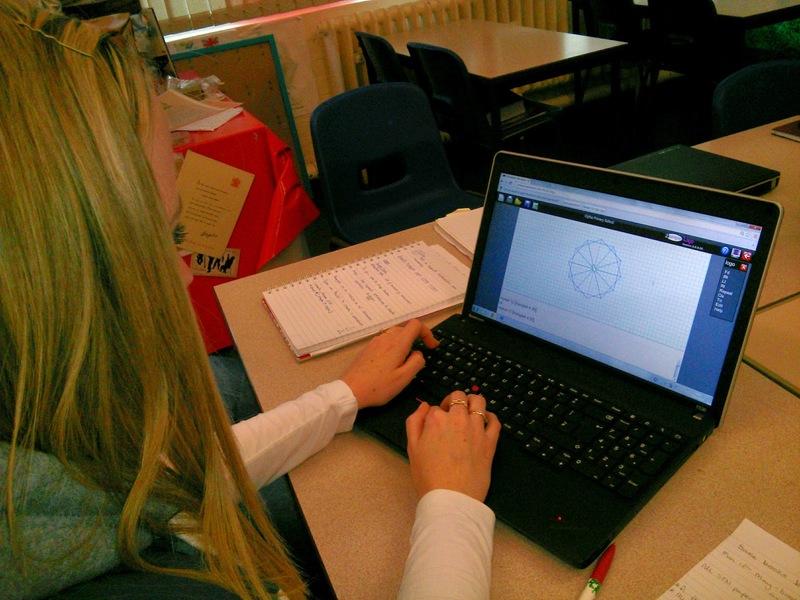 The staff particularly enjoyed using LOGO, talking about shape and angle. Lots of good discussing between them to work out how to complete the challenges I set. In fact, I found it difficult to get them to go for their coffee break! We then looked at using databases (2Investigate) and opportunities for graphing with 2Graph and 2Count. In the afternoon my colleague Steve Singer gave an excellent introduction to 'Scratch' and finally we finished the day off with SMART Notebook tools that can help support the teaching of mathematics.